We can't live without mascara and you probably can't either! Lashes just completely changes the entire look of your eyes and makeup- it's the perfect final touch to your makeup. People definitely have their preferences when it comes to mascara so we narrowed it down for you to the top 5 favorite mascaras! Different brushes give you different looks, so it's important to try different ones out until you find your perfect match. Which one is your favorite mascara? Share your secret with us! 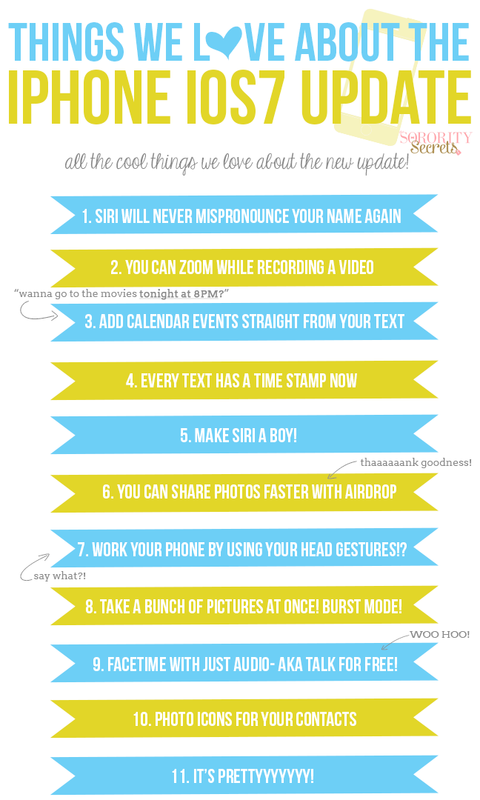 Obsessed is an understatement- we're just loving everything about the new iPhone i0S7 update! We know we're definitely not the only ones that's been anxiously waiting for the new iPhone update to come out. We've come up with a list of all of our favorite things about the new update that we thought we should share! There's so many different things that we wanted to list, but we cut our list down to our Top 11 features. We're still learning new things every day on the new update as you are, but Becca, from the blog, My Crazy Good Life, talks all about her favorite tips and trick on the new update (read here). Also, check out Wonder How To for their "Coolest 18 Features That You Probably Didn't Know About"! What are some other features that you love (or don't love) about on the new update? !